The countdown for the new school year has officially begun in my household. I have exactly 2 ½ weeks to get Arianna back-to-school ready and I’m feeling the PRESSURE! I have a lot to cross off my list and also manage to squeeze-in a mini vacation in the process. Needless to say, I’m swamped. I will take all the help I can get at this point, which is why FabKids is such a convenient way to shop for moms! They always have a great selection of outfits to choose from plus this month they’re introducing the best and biggest collection ever for Back to School, with amazing deals all under $20 for VIP Members. For this month, Ari chose every little bookworms dream - the Preppy Plaid Outfit. It’s classic and playful, with the sweetest peter pan collar and babydoll-style dress. The material is 100% rayon so it feels silky smooth and even comes with pink leggings, making it appropriate for the playground too! Love her dress? 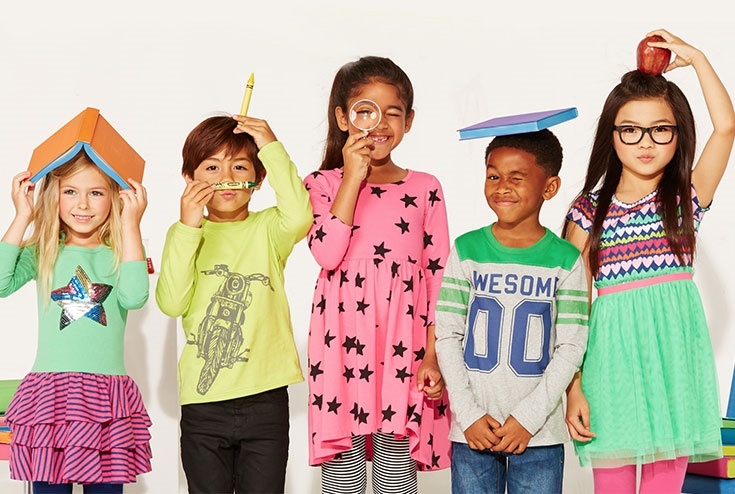 Make sure to check out the new FabKids collection for more styles and shop their VIP deals before they're gone! Ari is going to be at the head of her class for sure! Too cute and love her boots.